Hot on the heels of the most productive and successful year since its launch in 2007, India’s DQ Entertainment (DQE) has green-lit Rudyard Kipling’s classic tale The Jungle Book as the first project out the gates for its newly launched feature film division. FUTURE VISION talks with Tapaas Chakravarti, chairman and founder of the successful Indian animation group and its subsidiary DQ Entertainment (Ireland), about his “hands on” approach to the US$45 million stereoscopic 3D animated project and India’s future as a “trend- maker" in the world of animation. Q. The Jungle Book has some major talent on it. Billy Frolick (Madagascar/Holy Cow), Jun Falkenstein (The Tigger Movie, The Smurfs) Kevin Johnson (Alvin and the Chipmunks: Chipwrecked/Harry Potter &The Sorcerer’s Stone, and James Hegedus (Shrek). Your role is usually as an executive producer but on this feature film, you are very hands on. A. Apart from it being our flagship project and first IP for global audiences, Jungle Book is a tale that is very dear to me. It’s set in India, to begin with. When the TV series was being developed, I was also involved in every step of its making so it was only natural for me to wear the hat of a producer for the feature film. Q. The film will be released in 2014 through your subsidiary DQ Entertainment (Ireland). And then what? How many films can we expect to see coming out of this new film division? A. We already have two more films under development and we’re aiming to release one animated feature every year starting in 2014. Q. The Jungle Book is not the first film you’ve worked on. There is The Prodigies, as an example. A. We've worked on other films but they were produced for other studios. The Prodigies, as an example, was produced for Onyx Films, Fidelite Films, Studio 37 and Warner Bros.. The Jungle Book, however, is the first feature film being produced by us and for the DQE feature film division, our own IP and our own company. Q. You jumped into stereoscopic 3D very quickly, producing a number of animated TV projects, but you still use hand drawn when clients want it or you believe it’s needed. What’s that about? A. Yes, we do continue to have a team that produces traditional hand drawn animation. Recent releases and success stories at the box office such as Madagascar 3, Brave, and Puss In Boots have proven that while the whole focus of film makers, producers and audiences in recent years has been on making the viewing experience as close to real as possible, the old fashioned way of producing animation is still very charming. The quality of acting and facial expressions are best brought out in the hand drawn style. Recent examples from the DQ stable are The New Adventures Of Lassie which is being lead-produced by DQE with the IP belonging to Classic Media USA and Galactik Football to Alphanim (France). However the 3D experience provides thrills that are visceral as well as visual, and filmmakers are using technology to tell their stories in ways that are more detailed and more real than ever before, allowing them to push the boundaries of filmmaking to the limits of their imaginations. 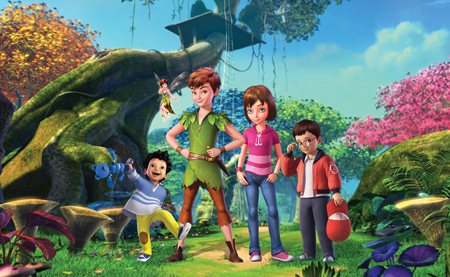 The New Adventures Of Peter Pan, which is being produced by DQ in stereo 3D, will use this high end technology to provide an enthralling experience to viewers as they fly from 21st century London to the exotic and fantasy world of Never land. Q. Looking at the future of the animation industry and India’s role in it, your success proves that India clearly has the goods to produce top quality content. What do you see as India’s future role in determining the quality of content on the international animation stage? A. The fact that India has been producing world-class animated content like The Jungle Book and Peter Pan reflects the high quality of technology and skilled professionals that are available in India. 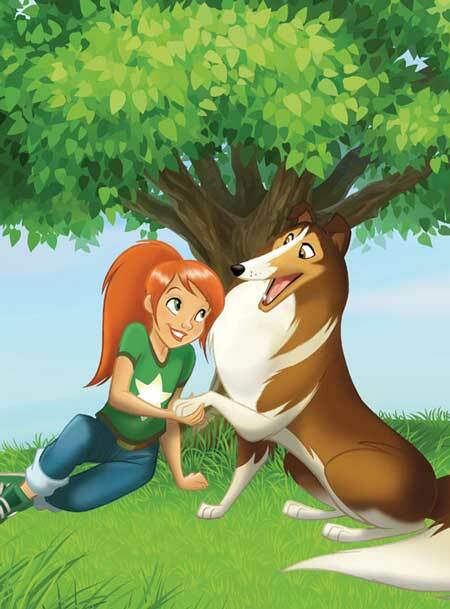 I strongly believe that India has great potential in becoming the international trend- setter in animation in the near future rather than a trend follower, as it is now.